High-quality keyboard dust cover for KURZWEIL Artis 7. Available in Microfibre, Polyester or Synthetic Leather. High-quality keyboard dust cover for KURZWEIL Artis 88. Available in Microfibre, Polyester or Synthetic Leather. High-quality keyboard dust cover for KURZWEIL Artis Se. Available in Microfibre, Polyester or Synthetic Leather. 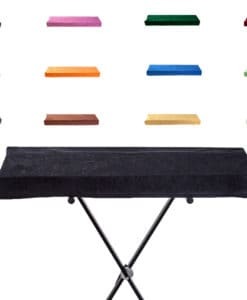 High-quality keyboard dust cover for KURZWEIL Forte . Available in Microfibre, Polyester or Synthetic Leather. High-quality keyboard dust cover for KURZWEIL Forte 7. Available in Microfibre, Polyester or Synthetic Leather. High-quality keyboard dust cover for KURZWEIL Forte Se. Available in Microfibre, Polyester or Synthetic Leather. High-quality keyboard dust cover for KURZWEIL K 2000 Vp. Available in Microfibre, Polyester or Synthetic Leather. High-quality keyboard dust cover for KURZWEIL K 2000 Vx. Available in Microfibre, Polyester or Synthetic Leather. High-quality keyboard dust cover for KURZWEIL K 2600 X. Available in Microfibre, Polyester or Synthetic Leather. High-quality keyboard dust cover for KURZWEIL Mp 10. Available in Microfibre, Polyester or Synthetic Leather. High-quality keyboard dust cover for KURZWEIL Mp 15. Available in Microfibre, Polyester or Synthetic Leather. High-quality keyboard dust cover for KURZWEIL Mp 20. Available in Microfibre, Polyester or Synthetic Leather. High-quality keyboard dust cover for KURZWEIL Pc 3. Available in Microfibre, Polyester or Synthetic Leather. High-quality keyboard dust cover for KURZWEIL Pc 1 X 61. Available in Microfibre, Polyester or Synthetic Leather. High-quality keyboard dust cover for KURZWEIL Pc 2 X 76. Available in Microfibre, Polyester or Synthetic Leather. High-quality keyboard dust cover for KURZWEIL Pc 2 X 88. Available in Microfibre, Polyester or Synthetic Leather. High-quality keyboard dust cover for KURZWEIL Pc 3 61. Available in Microfibre, Polyester or Synthetic Leather. High-quality keyboard dust cover for KURZWEIL Pc 3 76. Available in Microfibre, Polyester or Synthetic Leather. High-quality keyboard dust cover for KURZWEIL Pc 3 A 6. Available in Microfibre, Polyester or Synthetic Leather. High-quality keyboard dust cover for KURZWEIL Pc 3 A 7. Available in Microfibre, Polyester or Synthetic Leather. High-quality keyboard dust cover for KURZWEIL Pc 3 A 8. Available in Microfibre, Polyester or Synthetic Leather. High-quality keyboard dust cover for KURZWEIL Pc 3 K 6. Available in Microfibre, Polyester or Synthetic Leather. High-quality keyboard dust cover for KURZWEIL Pc 3 K 7. Available in Microfibre, Polyester or Synthetic Leather. High-quality keyboard dust cover for KURZWEIL Pc 3 K 8. Available in Microfibre, Polyester or Synthetic Leather. High-quality keyboard dust cover for KURZWEIL Pc 3 Le 6. Available in Microfibre, Polyester or Synthetic Leather. High-quality keyboard dust cover for KURZWEIL Pc 3 Le 7. Available in Microfibre, Polyester or Synthetic Leather. High-quality keyboard dust cover for KURZWEIL Pc 3 Le 8. Available in Microfibre, Polyester or Synthetic Leather. High-quality keyboard dust cover for KURZWEIL Pc 3 X 88. Available in Microfibre, Polyester or Synthetic Leather. High-quality keyboard dust cover for KURZWEIL Pc 88. Available in Microfibre, Polyester or Synthetic Leather. 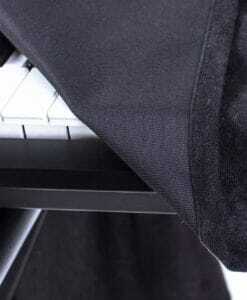 High-quality keyboard dust cover for KURZWEIL Sp 2 Xs. Available in Microfibre, Polyester or Synthetic Leather. High-quality keyboard dust cover for KURZWEIL Sp 3 X. Available in Microfibre, Polyester or Synthetic Leather.